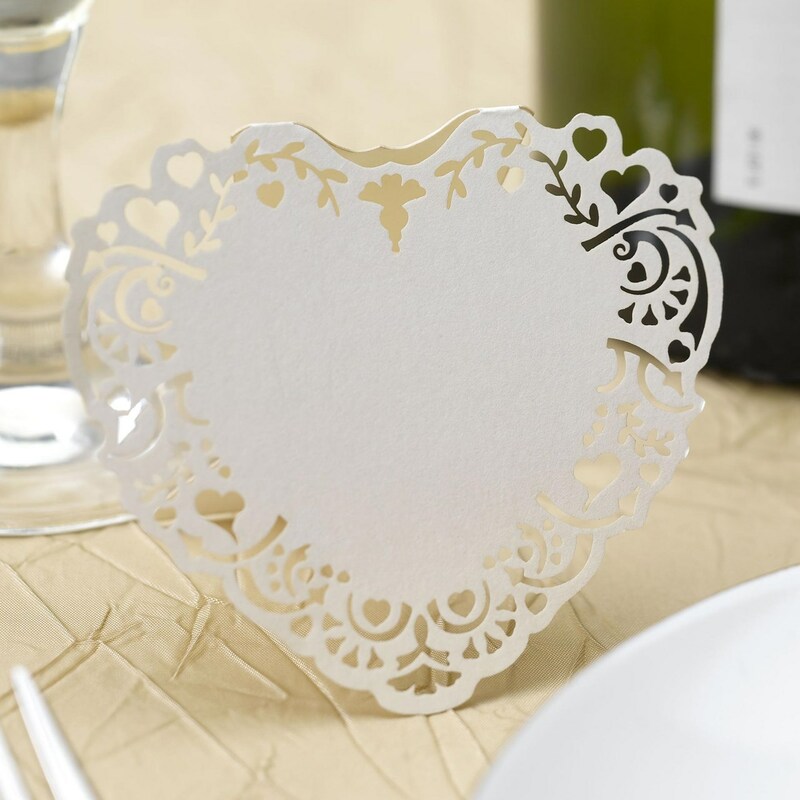 Exquisite laser-cut place cards, made from chic ivory card. These elegant cards are part of the Vintage Romance range and provide an understated, sophisticated way to direct your guests to their places. Each card features a delicate cut-out edging, alongside plenty of room on which to write guest's names.